As aside to posts I normally throw up here, I wanted to mention an iPhone app a good friend of mine has recently launched. Its called Palette.able (good name right?) and it promises to be a style consultant in your pocket. 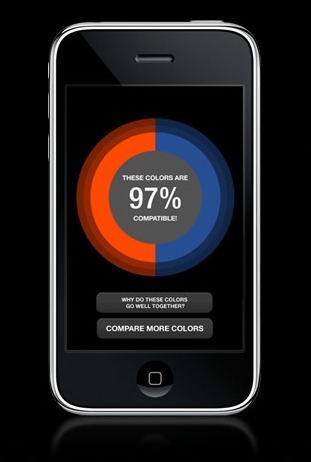 The application allows you two determine how compatible two different colours are. Useful in situations where you’re picking tiles to match your wall color, a tie to match your suit or lipstick to match your dress, Palette.able compares any two colors you choose from home decor, photos, magazines and the world around you and tells you if they complement each other. Using an advanced formula based on the way humans perceive colors, Palette.able generates a simple compatibility percentage that quickly tells you whether or not two colours work together. Read more about it here. Or download it in the App Store.